Email marketing is the most effective solution for connecting with your audience and keeping them updated with your content. Most people find your website, read some information, leave and then never return. Only a few of them really do something that will boost your conversion rate. Wouldn’t it be great for your business to convert some of those people to subscribe to your mailing list? The most important asset of your online presence is your email list. No, it´s not the design of your WordPress theme or your content. These just help a lot to get your email subscribers. But if you’re not gathering prospects, they don’t do you much good. As you build your email subscriber list, promoting your new posts becomes faster and more effective. You can send a notification to thousands of interested people who want to read your content and get highly-targeted traffic to your website. To get acquainted with the world of generating leads via email, I will list some of the best free and paid WordPress plugins for email marketing. Let’s start with the best. The Thrive Leads plugin is definitely located at the top of our list in case you don’t want any compromises in your email list-building strategy. We recommended it to all of our clients and they’ve witnessed duplication and even tripling their conversion rates after installing and configuring it properly. What makes Thrive Leads special is time-saving, easy handling without any programming or coding knowledge. Below is the list of its features. Classic Sign-up Box – The classic sidebar sign-up box which always stays in the field of vision and not just above the fold. Pop-up Box – The pop-up window contains a menu of commands and stays on the screen only until you select one of the commands. It then disappears. Sticky Ribbon – (Since ThematoSoup is one of the sticky header plugin authors, we can confirm that the Thrive team made a serious shift when it comes to this type of add-on, both from the frontend and backend). Inline Forms – Especially suitable for bloggers who have a major following. The main attention is always on the text, and with this function, it is possible to increase the number of email subscribers up to 200% compared to the classic sign-up box on the right. 2-step Opt-in – Suitable primarily for marketers who want to build a relevant email list. The site visitor must do 2 steps – click on the link and sign in with an email. Slide-In – Display the relevant opt-in boxes on the right side of the blog and customize for every blog post. Screen Filler – Ok, we admit that we did not use this. It should increase conversion rates, but I do not personally like to bomb our visitors that much. Content Lock – A recommendation for articles that have viral potential. Especially how-to articles. Set up some worth of content in exchange for the email. Welcome Mat – Similar to Screen Filler. Multiple Choice Form – Engage your visitors and ask them to make a choice right away. Every marketer knows that today it’s more important than ever to make content relevant. It’s the same with email marketing plugins. For one of our clients, we installed a special email form that is relevant to the topic of each blog post. For example, if an article was about WordPress Security then the form offered a whitepaper on security. This way, the conversion rate has risen by 350%! Even though we are marketers and the installation of Google Analytics code is not a problem, the built-in thrive leads statistics help us set it a lot faster and measure the effect of the setup email forms. Pay special attention to A/B tests when installing the plugin. In relation to the time you put into configuring and installing the plugin, your investment should return X10 times. When you set it up correctly, the email plugin works on its own! Different offers – do you achieve better conversion rates using an e-book or a free course that you offer? This is the option we used to increase the number of leads for one of our clients. The tactic is simple – show the relevant (email) offer to each visitor. Give Thrive Leads try if you need a robust email marketing plugin for your WordPress website. The SendinBlue WordPress plugin is a powerful email marketing tool with over 30.000 active installs. It allows you to create customized subscription forms and integrate them into your posts, pages or sidebars. You can also easily manage your contact lists and use advanced audience segmentation to improve the performance of your campaign. SendinBlue offers advanced features like marketing automation. You can now optimize your contact management with personalized workflows. With 8 automation workflow templates, you can configure everything from welcome emails to abandoned cart reminders. SendinBlue gets high grades from us and is totally free up to 9,000 sent emails per month or 300 emails daily. You can upload an unlimited number of your existing contacts, but you can have automated workflow for up to 2000 contacts on their free plan. You also get free customer support for the first 60 days upon signing up, which is enough for you to configure and test your email campaigns, lists and forms. If you’re looking for a free email marketing service with automation features and free support, then SendinBlue is the one. Over 300.000 websites use the OptinMonster software to get more email subscribers. It helps them grow email lists and get more subscribers using pop-ups and other types of high converting opt-in forms. The only catch is that you must have an OptinMonster account if you want to take advantage of this plugin. OptinMonster has a paid service, as well, with Geo-location targeting, 2-step opt-ins and exit-intent technology. An easy to use form builder allows you to create stunning opt-in forms with the highest conversion rates. All templates are 100% responsive and mobile friendly. You can choose from 9 different types of opt-ins. Lightbox Popup – The most effective and popular way to grow your email list. Fullscreen Welcome Mat – Create a fullscreen interstitial with a call to action that can’t be ignored. Slide-in Scroll Box – High-converting alternative for popups that slides from the corner. Floating Bar – Increase conversions with a footer or header bar that scrolls with you. Countdown Timer – Use urgency and scarcity to boost your sales and conversions. Sidebar Forms – Turn every page of your website into a lead generation opportunity. Inline Forms – Embeddable forms that you can add in blog posts and page content. Content Locker – Turn any article into gated content and watch your email list grow. Coupon Wheel Optins – Create interactive spin-a-wheel campaigns proven to increase sales. 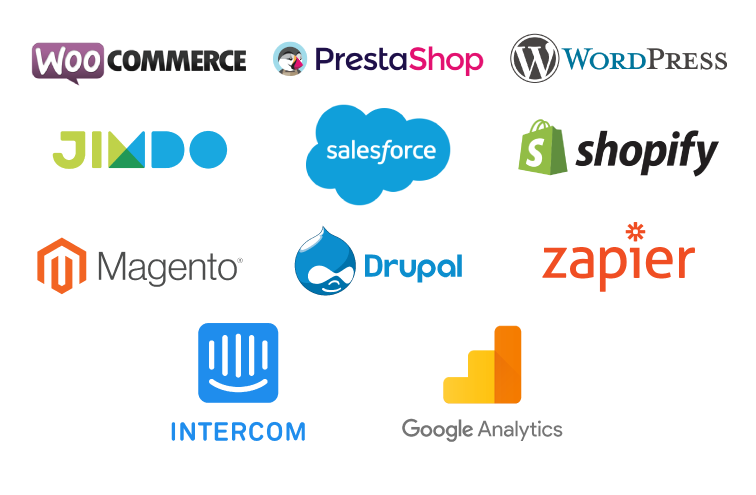 It has easy integration with over 19 different email marketing service providers. And now let’s check some of the free email marketing plugins on WordPress.org. This free, trustworthy and simple WordPress plugin is an excellent solution for creating newsletters, automated emails, post notifications and autoresponders. You can capture subscribers with its great signup widget. Also, it allows you to drop your posts, images and social icons in your newsletter. Sending newsletters in the free version is limited to 2000 subscribers. This is ideal for small business owners and bloggers. 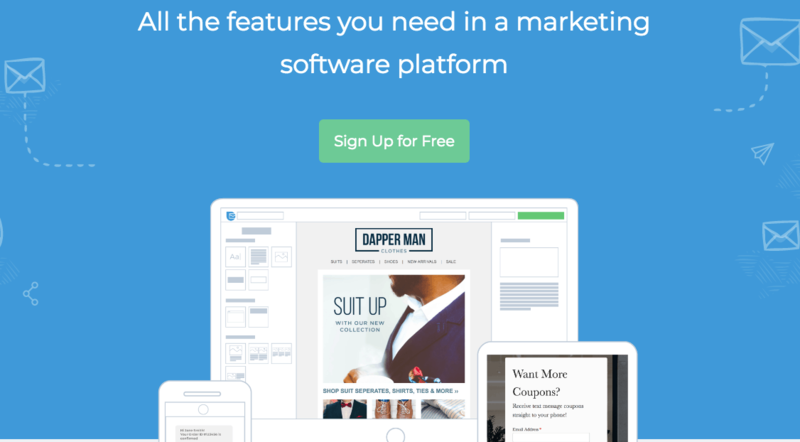 You can choose between 70 themes and get stats for your newsletter: opens, clicks, unsubscribes, bounce rate, etc. With very high ratings from its users, MailPoet is definitely a plugin that is worth your attention. They also have a premium version with a lot more features such as your custom branding, detailed analytics, WooCommerce support, etc. With very high ratings from its users and 10.000+ active installs, SendPress Newsletters is easy to use WordPress plugin. It has all the features you need. You can create customized newsletter templates, easy import post content from your site and schedule sending newsletters. It has unlimited subscribers plan, simple editor and you don’t need any previous code experience. You can also sync WordPress roles to newsletter subscriber lists. Also, there is stat tracking for each email: clicks, opens and unsubscribes. If you worry that your emails maybe aren´t sent for some reason, just enable the Auto Cron option from the admin panel. The system will check your site every 15 minutes to make sure your newsletters are sent. SendPress premium gives you access to their support, their pro modules and their help in implementing the plugin correctly. As the most popular email marketing solution for marketers, it provides you with numerous ways to manage your subscriber list, design and send your email newsletters. More than 7 million people around the world use it. Mailchimp is free for lists of up to 2000 subscribers. 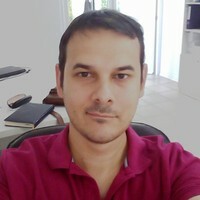 This plugin connects together your WordPress website and your MailChimp account. Updates are regular, and this plugin has over 1M active installs. Mailchimp has the highest ratings from its users in comparing with other WordPress plugins for email marketing automatization. If you’re looking for good Mailchimp alternatives, we’ve written a post about that, as well. Mailchimp plugin helps you to add more subscribers to your lists using various methods. You can create eye-catching opt-in forms or integrate it with any other form of your site (your comment, contact or checkout form). Email marketing is highly effective in increasing leads and conversions. If you want to share the latest news, promotions or offers with your prospects and customers, then this is the best choice for your online business. If you use WordPress, you should install one of these great free plugins to get your email marketing campaign up and running. Do you use one of these WordPress plugins for your email marketing campaigns? Which one works best for you? Google Ads specialist at ThematoSoup sharing marketing tips on how to increase and automate your online presence. SEO / Internet marketing.Ninet Company. Nislija.